Height 5 feet 10 inches. Weight 139 lbs. Chest 31-36 inches. Complexion dark. Eyes brown. Hair dark brown. Both eyes 6/6. Hearing good. Colour vision correct. Limbs and chest well formed. Full movement of joints. Heart and lungs normal. No illnesses. Free from hernia, varicocele, varicose veins, haemorrhoids, inveterate or contagious skin disease. Good bodily and mental health. No slight defects. No fits. British War Medal; Victory Medal. WWII - War Medal 1939-45; New Zealand War Service Medal. 16 October 1917 he became ill & was admitted to hospital at Birmingham on 30 October, then evacuated to the New Zealand General Hospital at Brockenhurst in the United Kingdom on 6 November. On 30 September 1918 he returned to France & rejoined his unit in the field. Son of James CLARKE & Amelia Martha Elizabeth (Millie) nee ANDERSON. He was educated at the Timaru Main School, Also served in WWII as Sergeant, 1941-1948. He was discharged on 18 May 1948. On 21 April 1924 he married Mary FAHEY; they had 2 sons & 1 daughter. Brother of Stanley CLARKE who also served in WWI. 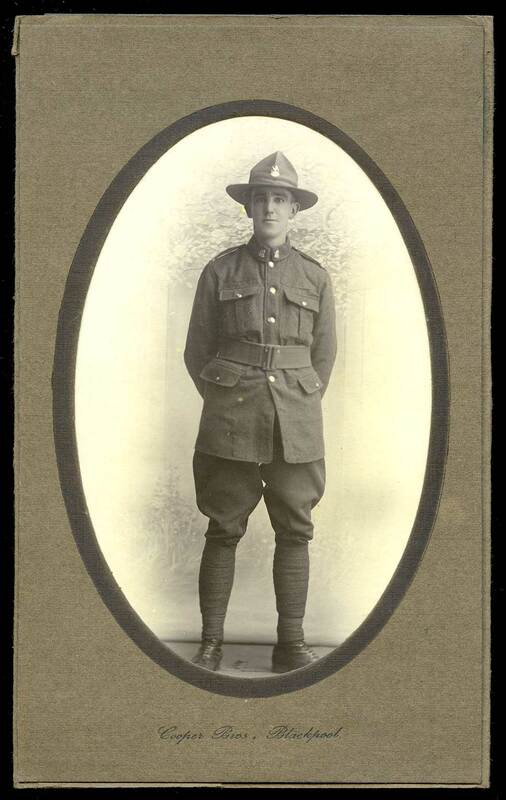 Ernest returned to New Zealand on 12 June 1919 per 'Arawa'. Prior to discharge from WWI service (on 12 June 1919, after total service of 2 years 117 days), he required reading spectacles. In June 1963 a letter was sent to Ernest's son (Mr A. E. CLARKE, 7 Hanan Place, Timaru) with his WWII medals, as had been requested by the South Canterbury Returned Services Association. In 1946 Ernest applied to enlist in the NZ Regular Force., to carry out work as CaretakerSub Area Timaru (Area 10). In 1947 he was suffering from an ulcerated stomach for which he underwent treatment at the Public Hospital. Ernest and Mary lived all their married life at 13 High Street, Timaru.